Arriving at your desired destination takes more than a map. Simple and intuitive software focusing on people & usability, not paper. We will create your own personal client website where you get one clear picture of your entire financial life. Collaborate with us in the office or online from anywhere in the world. Our intuitive organizer helps you consolidate all your important account information. 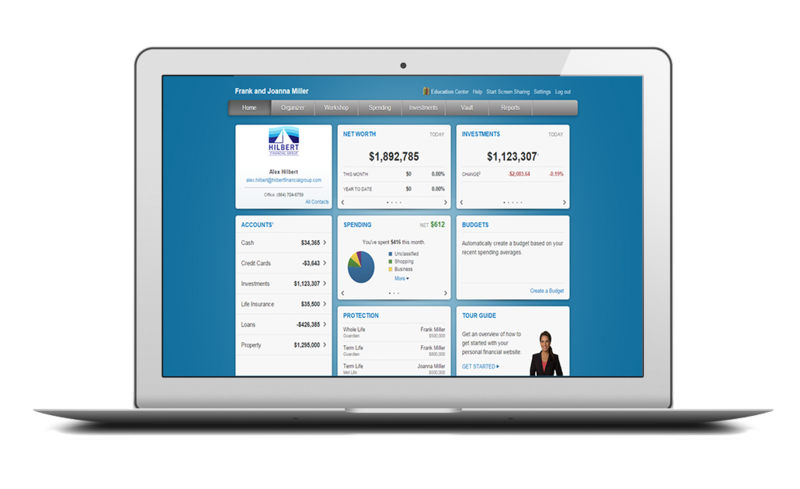 A consolidated view into all your accounts gives you a complete financial picture, updated in real-time. 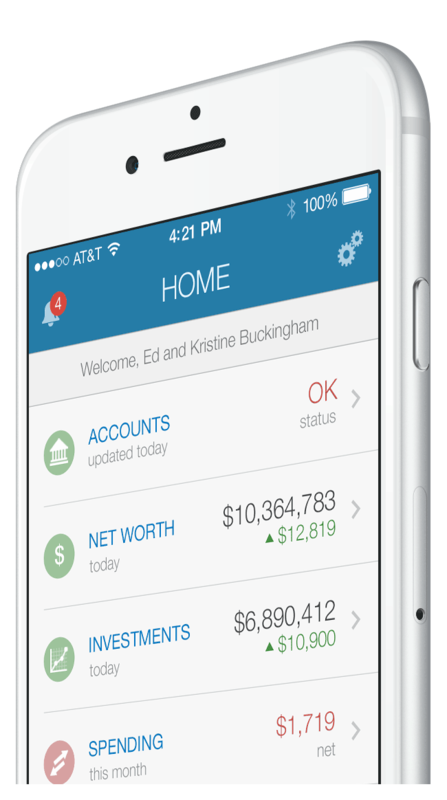 Email and mobile alerts empower you to be actively involved in your wealth management process. Receive our expertise from anywhere in the world without the hassles of third-party software. Unlimited access to secure electronic document storage keeps your most valuable records safe and accessible. State of the art security and encryption means that your information is safe. Click the lock icon to watch the security video. Interactive charts and detailed summaries increase knowledge of your financial accounts. We help you understand the impact of your financial decisions and make your goals a reality.